AUSTRALIA — Filmmaking management platform, X Motion Pictures (XMP), has today announced a partnership with CopyrightBank, a copyright registration and verification solution, to enable filmmakers and videographers to register and record the copyright of their original works on the blockchain. XMP is a one stop shop for anyone producing a digital video, feature film, documentary, music film clip, web series, television show or short film. Using blockchain technology, the platform facilitates smart contracts without the use of third parties, and provides accounting, communication and administration tools to streamline all film business operations. Digitizing the entire process decreases time and cost for filmmakers, investors, studios and strategic partners. CopyrightBank is a copyright registration and verification platform for digital works powered by the NEM blockchain. A digital work, regarded as one’s intellectual property, can range from books, music, photographs, artworks and films, to computer programs and databases. These assets are digitally-fingerprinted, timestamped and registered on the blockchain as evidence for copyright protection. Launching just over two months ago, CopyrightBank has more than 500 registered users globally, including in Australia and in the US. 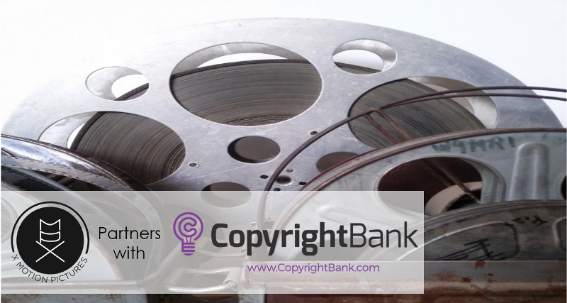 “CopyrightBank’s partnership with XMP will deliver a 21st century copyright solution to the filmmaking industry. It is an innovation that is long overdue,” David Oh, CEO and founder of C　opyrightBank said. Recent research shows that 21 per cent of Australians aged 12–64 download film and TV content from pirate websites despite the proliferation of legal content services. In 2017 alone, there were an estimated 22.9 billion visits to streaming piracy sites and 9.4 billion downloads of pirated films and TV shows. XMP is currently conducting their private sale for XMP token, a worldwide filmmaking currency. X Motion Pictures (XMP) is a decentralized platform that runs XMP, a worldwide filmmaking currency through blockchain technology, that will integrate smart contracts, accounting, communication and administration utilities to streamline all film business operations. CopyrightBank is a copyright registration and verification platform for digital works powered by the NEM blockchain.